H1 tags increase size of text as heading. 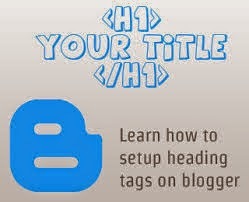 How to Add H1 tags to Blogger template ? Find the text you want to change. Replace the HTML tags with ". Always keep backup of your template before making any changes. Use "" tag to go back to normal font.